Your pet dogs often suffer from stomach upset and it is quite a natural phenomenon. 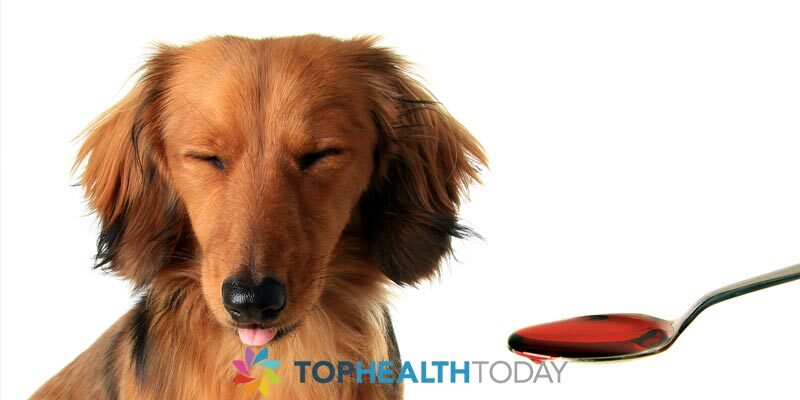 To give them relief, often you might have given your canine friends the antacid called ‘Tums’. So are tums good for your pets? Let us find out here. It has been found out that the tums generally work for animals and they are not typically dangerous for dogs. Several veterinarians have confirmed that antacids do give relief to animals from stomach pain or other kinds of gastrointestinal problems. Some owners prefer to give tums as calcium supplements to their pets. Dogs have very good digestive systems and their stomach problems normally get resolved themselves within short periods of time. Tums are human-formulated; so while they are not toxic for the dogs they are also not recommended by the vets in the long run. Instead, try using all-natural products like Pet Relief which has been getting rave reviews from the owners. In the long run, canine probiotics are best for your best buddy. If your dog is suffering from a chronic stomach problem, then it is best to take the professional diagnosis of the vets. 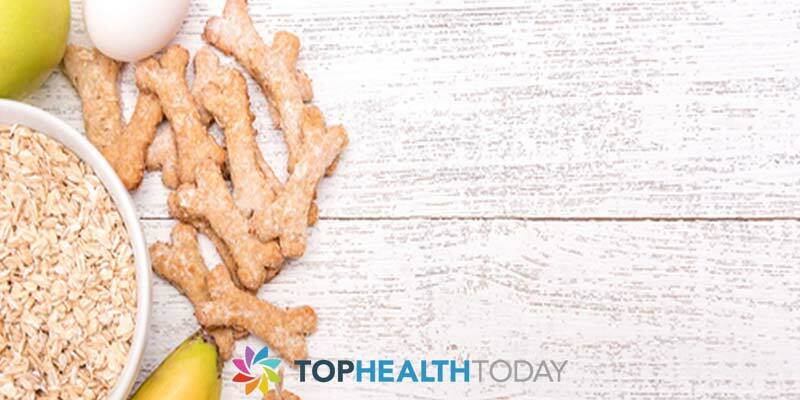 Although antacids seem to work effectively for dogs, but home remedies are always better as they are natural and chemical free. Pumpkin puree is a very good option for alleviating stomach pains as well as bowel issues. Pumpkin is very good for health and it will not constipate your pet like tums can with too much consumption. Another alternative can be fasting your dog and then gradually introducing light foods such as boiled rice and chicken. Also, a timely routine for feeding your pet should always be maintained. When meals are given at proper time intervals, then digestive juices start flowing, helping the dog to break down the food efficiently. Observing a healthy lifestyle for your canine will go a long way in preventing the occurrence of any gastrointestinal problems. Many of the owners use tums for their pets to increase their daily intake of calcium. However, this requirement can be fulfilled by good quality dog foods. If you are looking for long-term effects, then let me tell you, these antacids are not at all a good option. Besides, too much of calcium is not good and can lead to various health problems, including those related to the pancreas. In case, you want to include calcium supplements in the diet of your canine friend, it is always better to consult the vet. To conclude, tums are not really harmful to your dog when given in proper doses. But using this product (basically calcium carbonate and sugar) on a regular basis is not mandatory. Self-medicating your beloved is not at all recommended. Neither should you cover up the problem of regular stomach aches under the garb of such antacids. This would prevent the proper diagnosis of any serious problem, in case it exists. One should always remain cautious about the health of your pet. The digestive problems of a dog can be cured completely if diagnosed on time. So rather than covering up the symptoms with tums, consult the veterinarian for the best results. Why do dogs chew their paws? Dog tend to lick their feet or paws sometimes just to alleviate itching but some dogs go as far as biting on their own paws, which can be disconcerting for any pet owner. 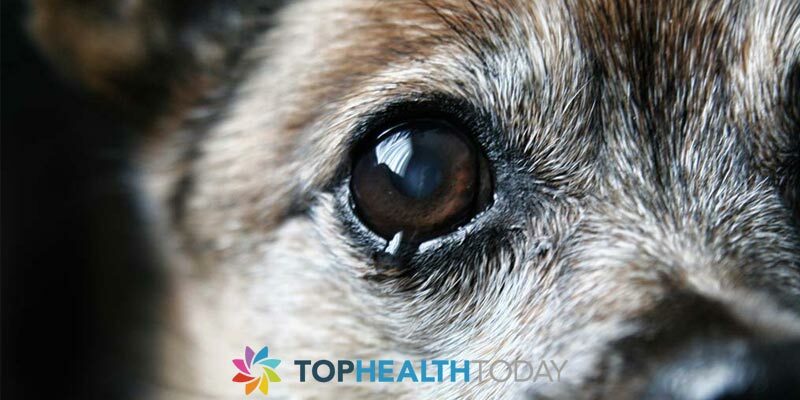 There are lots of reasons that may cause this behavioral obsessiveness in our canine friends. We will be looking at the most common reasons for this strange but common behavior in dogs. Dogs use their paws to scratch itching area of their bodies but can’t manage to scratch their paws when it’s itching. Their best solution to stop the itch in their paws is to use their sharp teeth. Though this itchiness may be as a result of Allergies or skin infection but the paws chewing create a temporary relief of the itch but do not solve the problem. Dogs’ owner need to pay attention and try to know what might be causing the itchiness in the dog’s paws. Like in most people, dog too are allergic to a number of things. Allergies are actually the most common cause of paw chewing. The cause of this allergic reaction might be from the food they eat, seasonal changes, change in their environment, rugs and even chemicals they are exposed to from soap or pesticides. Your dog may also develop skin condition, dermatitis due to allergies. In this condition, the poaching and chewing of the paw is due to the discomfort they feel in the area and then trying to chew off the offending substance in the area. Parasites like mites, ticks, and fleas are another common cause of paw chewing in dogs. Parasite bites are can be very sharp and sudden to a dog that their instinctive reaction is to stop biting by chewing on the area. By chewing on the spot, they are trying to kill the offender and the continuous bite to the area might be because the parasite is still there or due to the site’s itchiness and soreness. But if the chewing gets out of hand, it might just be the time to take your dog to the vet for proper checkup and treatment. Since dog paws are constantly in contact with the ground and their path is not always free from invaders. Glass shards, small rock, sticker, splinters can puncture his paw pads or fractured his claws or toes and Dogs only known solution to injury is to chew or lick the area that hurts. If you notice your dog chewing his paws, you might want to check them to see if he’s injured. The paw chewing might also be tied to orthopedic issues like hip dysplasia or arthritis. Dogs tend to chew or lick their paws compulsively in a situation when they are depressed or anxious. This may be as a result of improper exercise or common separation anxiety. Another common reason why dogs bite at their paws is boredom. A dog can simply start biting at his paws just to get a little excitement, and this can lead to a serious problem because it can turn addictive if they start enjoying it. Try to engage your dog by increasing his play time, or playing fetch or Frisbee with him and give him something more appropriate to chew on, like a fill-able rubber toy with peanut butter inside or rawhide. 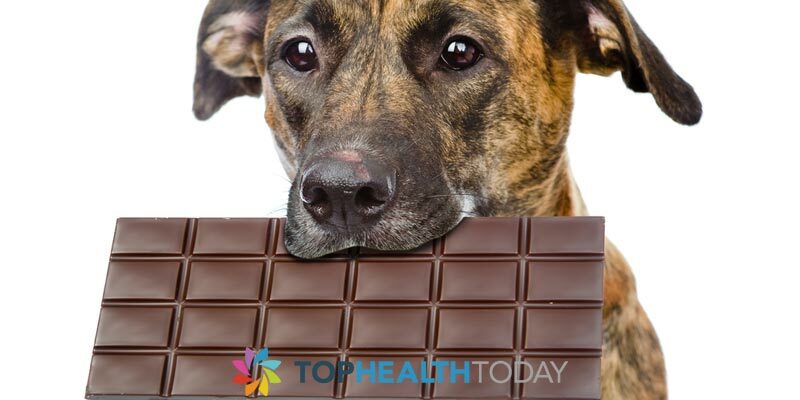 Chocolate contain ingredients such as theobromine and caffeine which can cause your dog’s heart rate to speed up and also activate their nervous systems. The most toxic form of chocolate comes in the form of cocoa powder so if you happen to spill some on the floor, it may be best to get to it before your dog does. Other forms of chocolate to watch out for are dark chocolate, milk chocolate, semi-sweet or baking chocolate. A general rule of them is that the darker the chocolate the more toxic it is. Also the impact of chocolate on your dog also depends on their size, so if your dog is relatively large, a small piece of chocolate won’t do much harm. If your dog ingests piece of chocolate there are several symptoms that could be a sign of distress, most commonly you may notice your dog starting to vomit, or he may suffer from dehydration, abdominal pains, irregular heartbeat, seizures or change in body temperature. If you notice your dog eating chocolate then it is recommended that you induce vomiting by giving them hydrogen peroxide. However if you are not comfortable doing this then it is best to seek out the help of a veterinary as soon as possible. The next time you find your dog rummaging through your trash be sure to make sure that he did not inadvertently sneak in a bar of chocolate. That could have severe repercussions and result in a trip to the veterinarian. Often times these things happen in the blink of an eye, so do your part in helping to prevent your pets from accessing food items that could be potentially harmful for them. By training your dogs to obey your commands you can also help stop them from engaging in harmful behavior. At the very least ensure that nay chocolate that is keep in the house is safely secured and out of reach from your dog, so as to not create opportunities for them to access it. While it can seem like a nightmare it does not have to be. With a proper response and swift action the effect on your dog can be harmless. Spend the time to have your emergency contact lined up so that in the event that this does occur, it does not have to be life threatening for your dog.